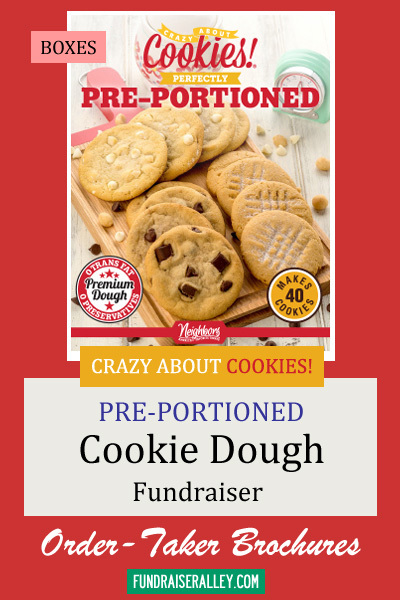 Pre-portioned Cookie Dough by Crazy About Cookies will be a successful fundraising project for your school, group, or club. 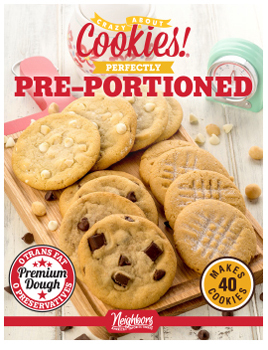 The cookie dough is already “preportioned” into cookie size sections. All you have to do is place on a baking sheet and bake. Each box of dough contains 48 cookies. There are 6 boxes per case. There is a minimum order of 20 cases, but you will have no problem selling. Crazy About Cookies is a popular brand name and offers 16 flavors of cookies, from the simple Sugar to the fancy White Chocolate Oatmeal Cranberry! The colorful Crazy About Cookies Pre-Portioned Cookie Dough 2-page brochures offer 16 yummy flavors. All boxes are priced at $17 each. 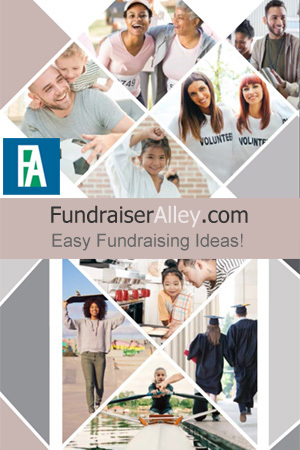 We suggest 1 brochure for each member of your school or group.